This is a stunningly beautiful large coffee table book based on the museum and Collection of Paul Lin in Taiwan. 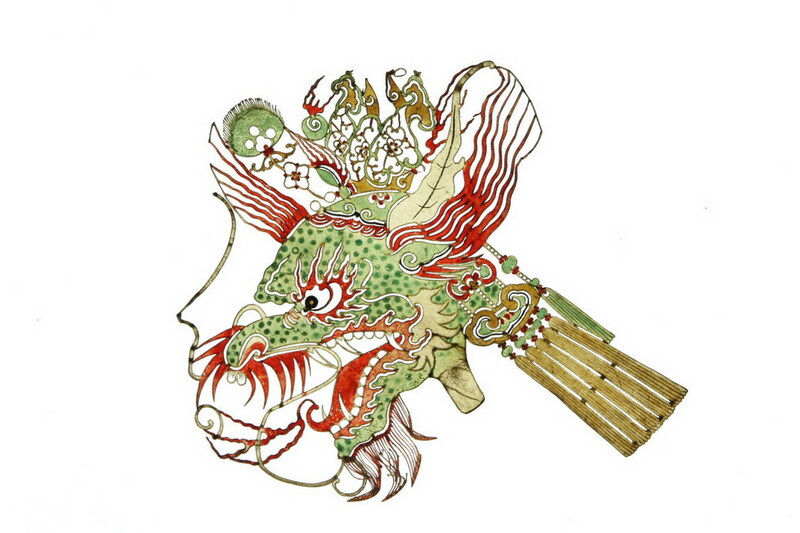 It provides a unique picture of the professional and diverse range of Asian puppet theatre culture, with 347 photographic illustrations including 234 of some of the finest colour photographs of puppets by Wang Hanshun I have seen. Dr. Paul Lin, Founder of the Taiyuan Arts and Culture Foundation and a tireless promoter of Taiwanese culture established the Puppet Centre with its director Dr. Robin Ruezendaal in 2002. In 2005 the Centre moved into a new and permanent home. Housing the collection, a theatre and educational facilities, it also houses a residential performing company that has made tours to many parts of the world. 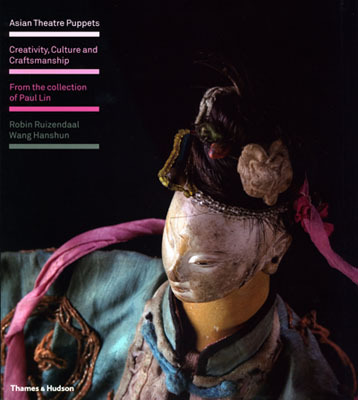 The text of the book by Robin Ruezendaal deals with many aspects of Asian puppet theatre including reasons for its decline. This is followed by chapters consisting of beautiful photographs dealing with glove, rod, string and shadow puppets. 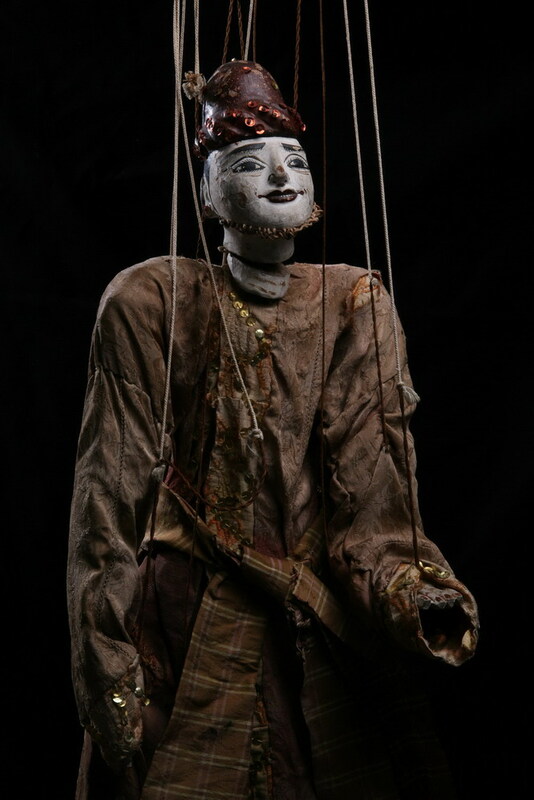 Finally, a list of detailed descriptions of each puppet shown in the photographs in the book. 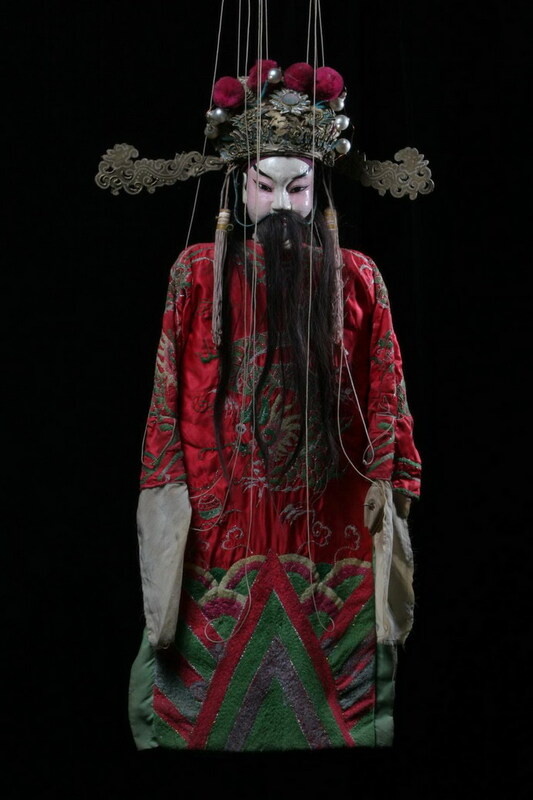 In 2006 Robin Ruezendaal, author of ‘Asian Theatre Puppets’ also wrote ‘Marionette Theatre in Quinzhou’ an extensive survey of the subject. 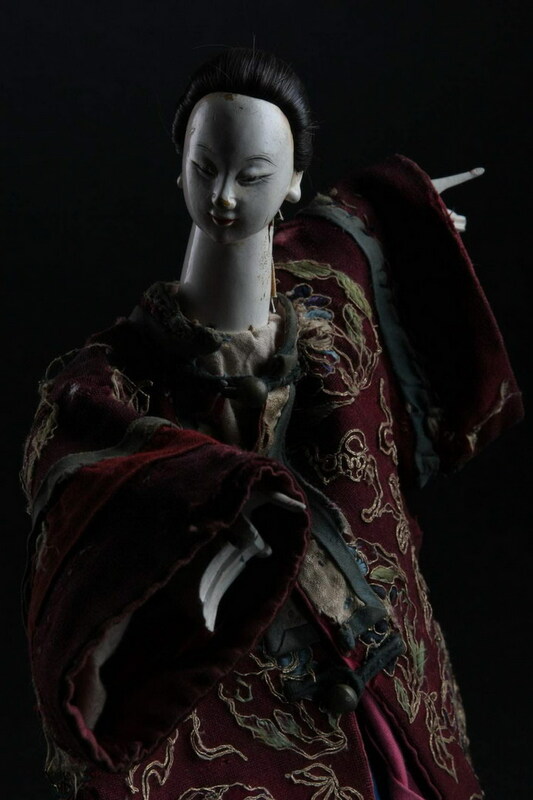 Some years ago I was invited by the Chinese Ministry of Culture to make a survey of the status of Chinese puppet theatre in relationship to other countries. Much had been lost over the years, but what still existed was extraordinary. 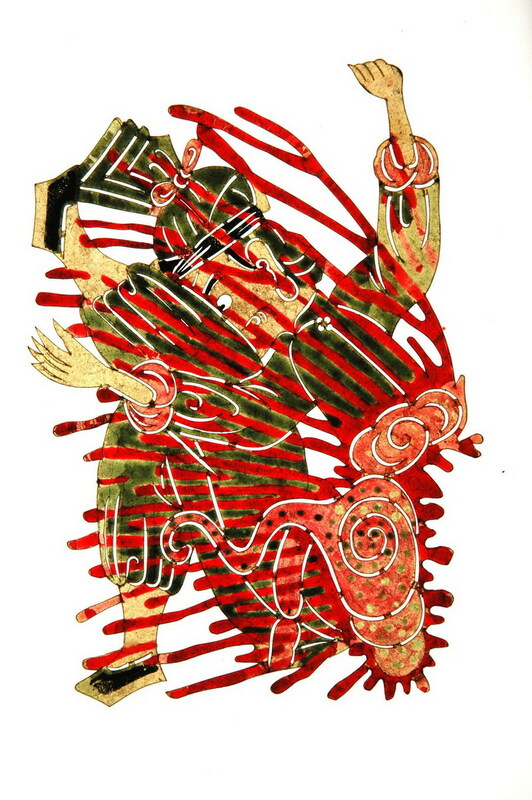 The quality of the craftsmanship in the creation of puppets in all of their forms, plus the outstanding performing skills and had no parallel in the West. The range of productions that I saw demonstrated their formidable skills. 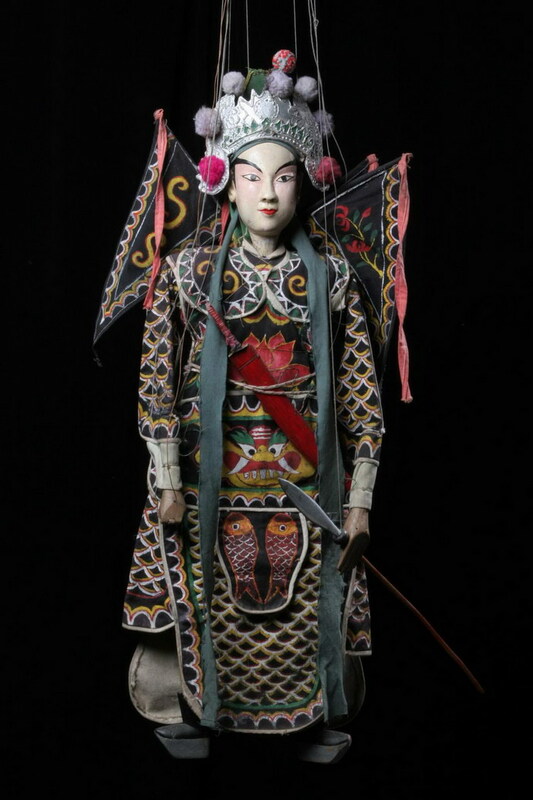 Fortunately the Chinese Government realised the value and importance of preserving the traditions and since that time there has been a remarkable development in the creation of fine crafted figures, mainly in Taiwan where the Paul Lin Collection is housed in a new museum and is considered to be the finest of its kind in the world. Now it is still possible to purchase fine examples of shadow and hand puppets. 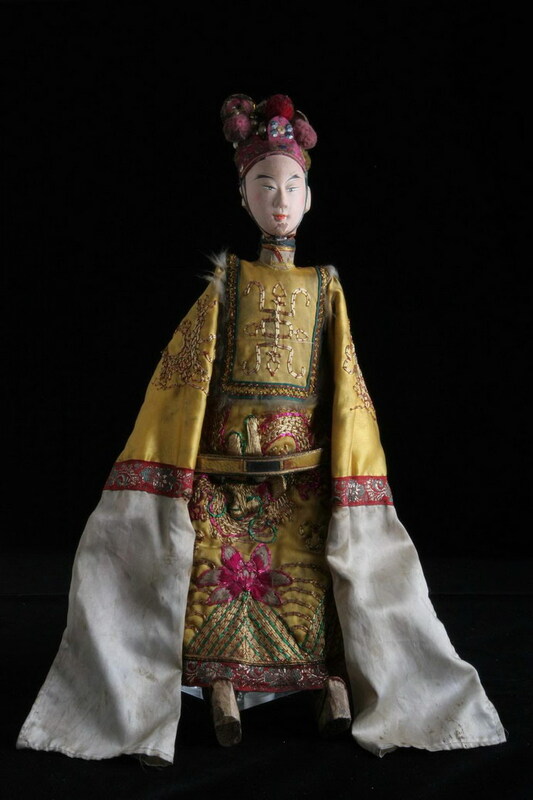 The loss or decline of Asian puppet theatre culture and the various component craft, performer skills, and the preservation of oral traditions in Asian countries would be an international loss. It is the culture and heritage not just of Asia but also the world. 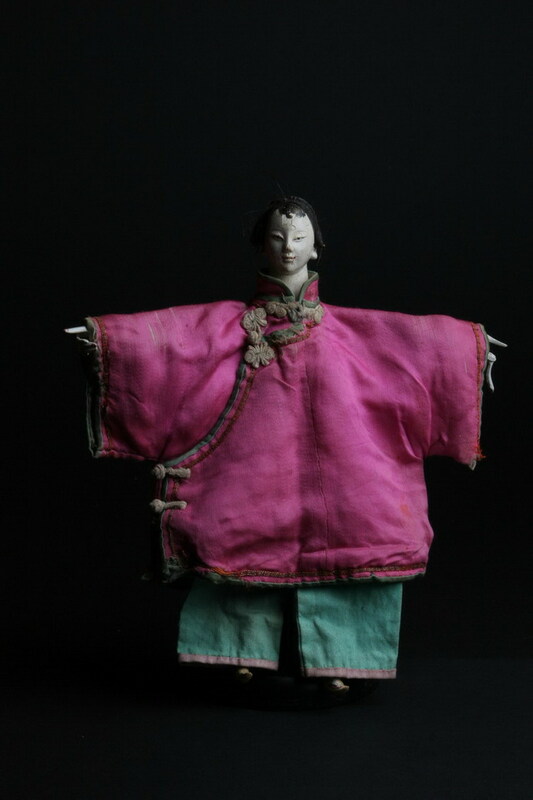 Fine examples of puppets are as valuable as any other museum artefacts dealing with sociology and ethnology. 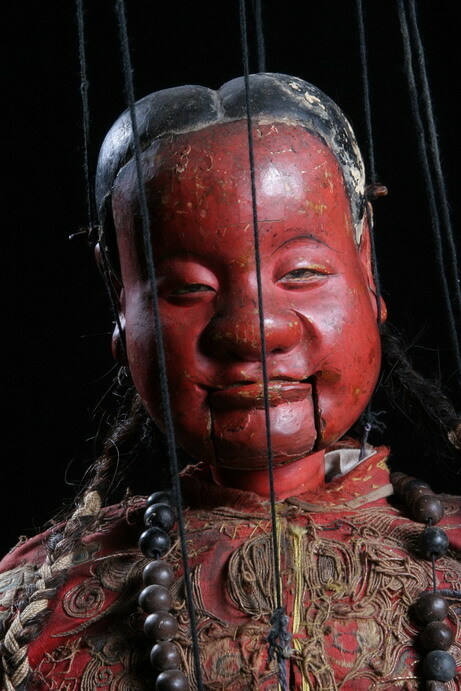 Some museums do hold significant numbers of puppets but they are rarely ever displayed. 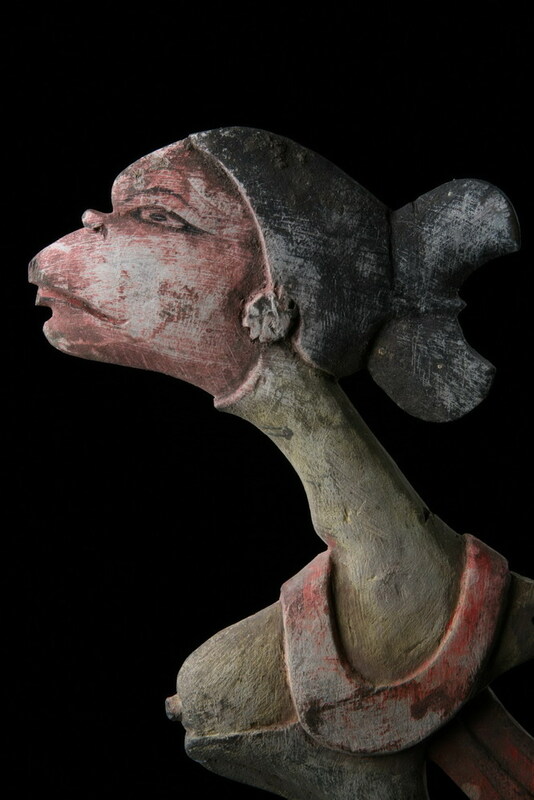 Most puppets are fine examples of a range of craft skills, they are performance sculptures; instruments for the projection of dramatic concepts. 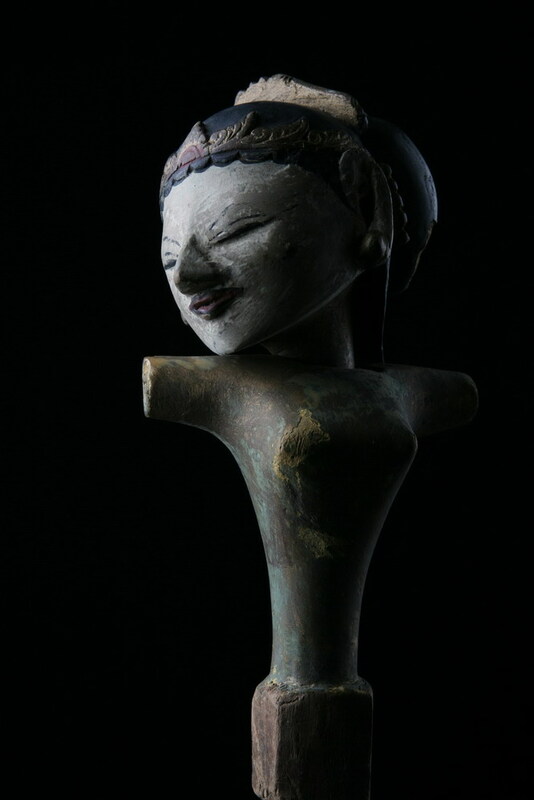 The Taiwanese government and other benefactors are to be congratulated on their generosity and wisdom in preserving a unique collection of artefacts that recognise the importance of the puppet play as an integral part of theirs and other Asian Culture cultures. The puppet theatre in the West has lost a great deal of its power, quality and greater potential due to the lack the underpinning of important fundamental skills and craftsmanship. 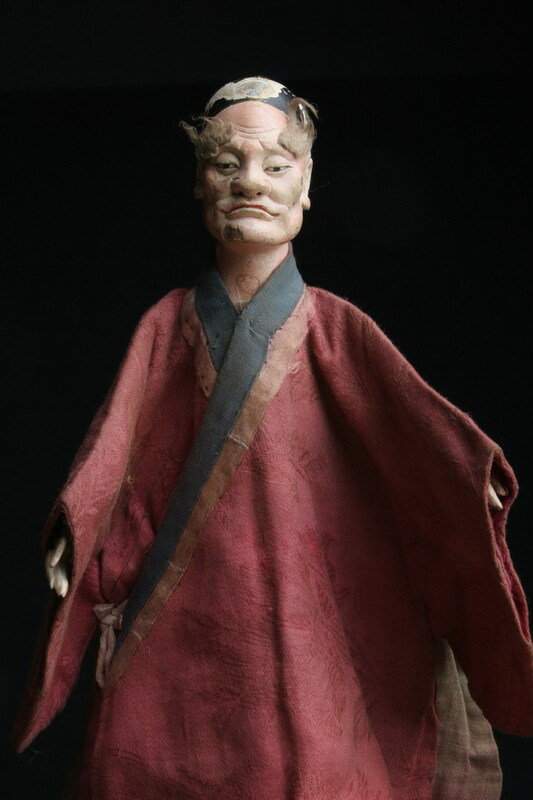 For instance, many puppet theatre companies proudly display in their publicity ‘Bunraku’ showing a lack of respect for its unique origins and the creators of some of the finest examples of unique craftsmanship and performer skill. 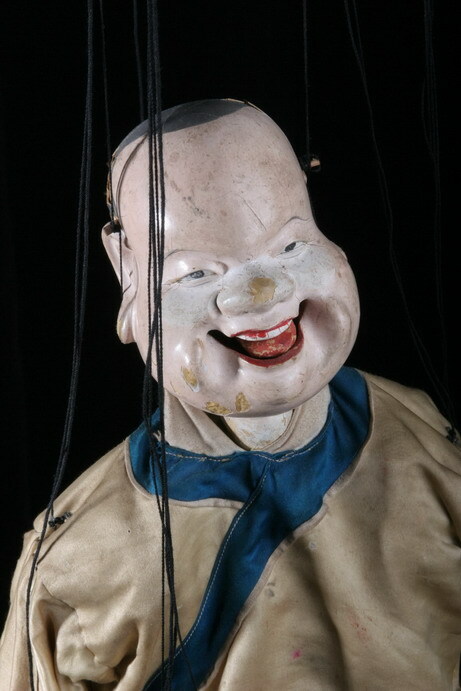 ‘Asian Theatre Puppets’ clearly show levels of skill and craftsmanship in their highest levels of achievement. 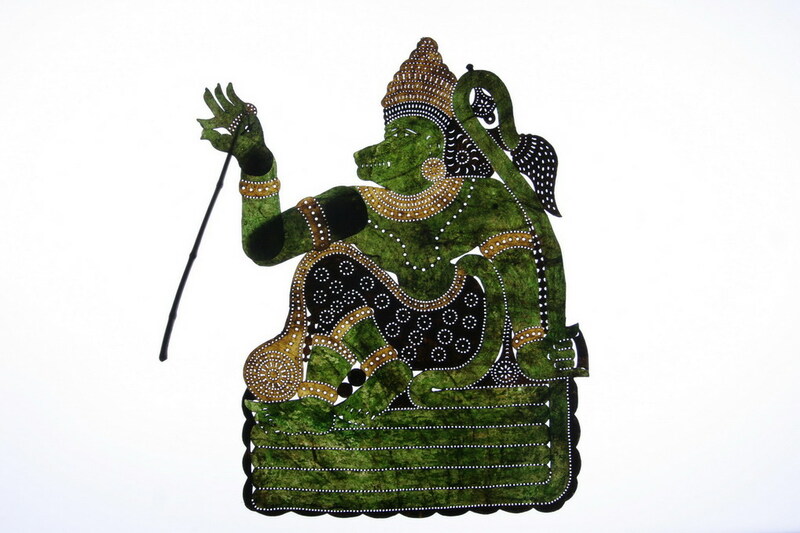 This book will fascinate any enlightened individual who respects the arts and crafts as well as the unique skills of generations of masters of the ancient art and craft of the puppet theatre, in all of its forms. by Robin Ruezendaal and Wang Hanshun.